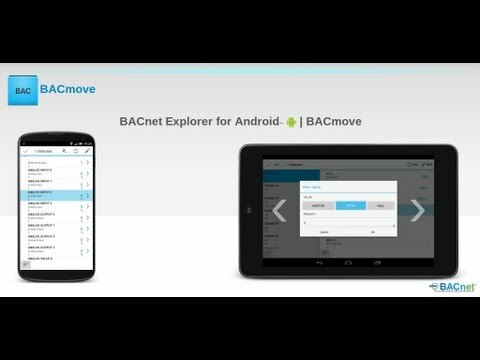 BACnet Explorer bacmove for Android devices is the best way to browse BACnet networks with your Android phone or tablet. 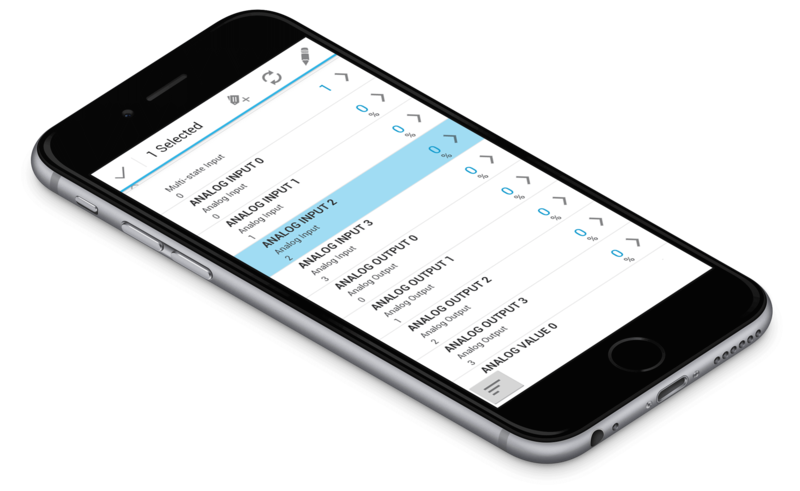 With this application, you can browse BACnet devices on the network, read and write their properties and create lists of objects for a quick and easy access. The BACnet Explorer connects directly to the BACnet/IP network from the Wi-Fi or Ethernet interface of the Android device. The application can also register as a BACnet foreign device through the cellular network of your phone. Devices and their associates objects are automatically discovered on the network. Perform read and write operations on the property Present_Value for objects of the following type: Binary Input, Binary Output, Binary Value, Analog Input, Analog Output, Analog Value, Multi-state Input, Multi-state Output and Multi-state Value. 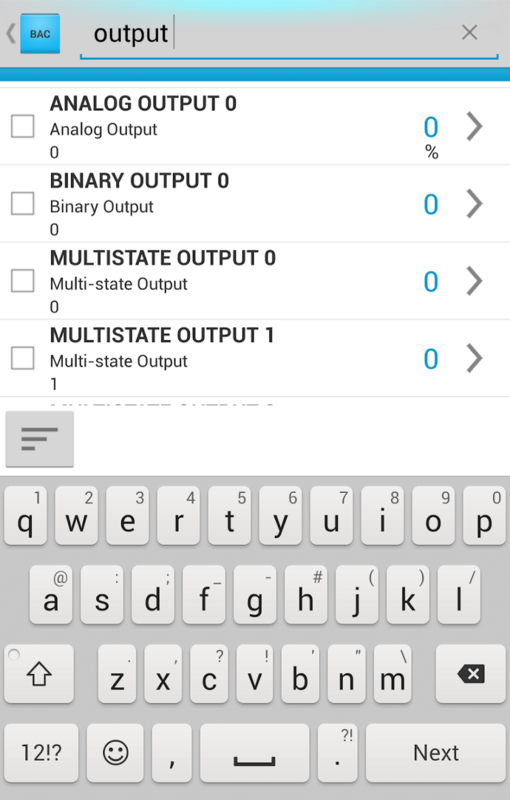 Download BACnet object file to the SD Card of your Android device. Dynamic user interface with multi-pane on devices with large screen / tablets. Several network configurations can be created and saved. All objects of the selected device are listed. 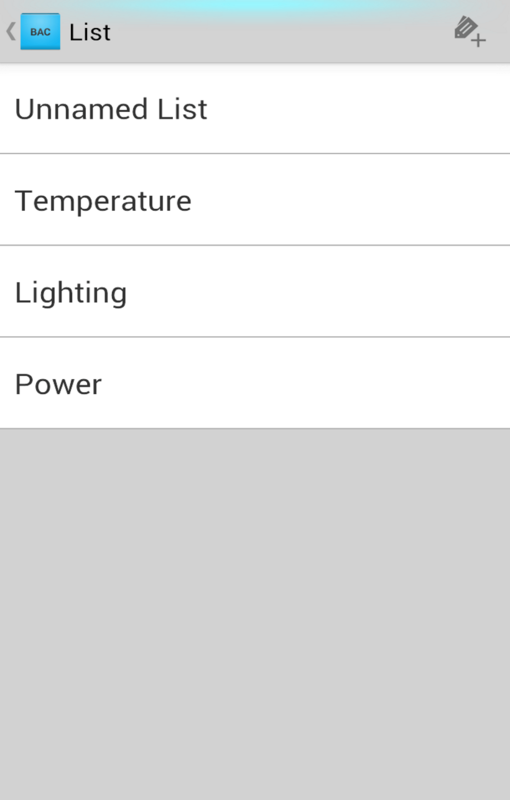 For the selected object, most of its properties and values can be displayed. Objects can be found with their names. Select an object to perform an action on it. 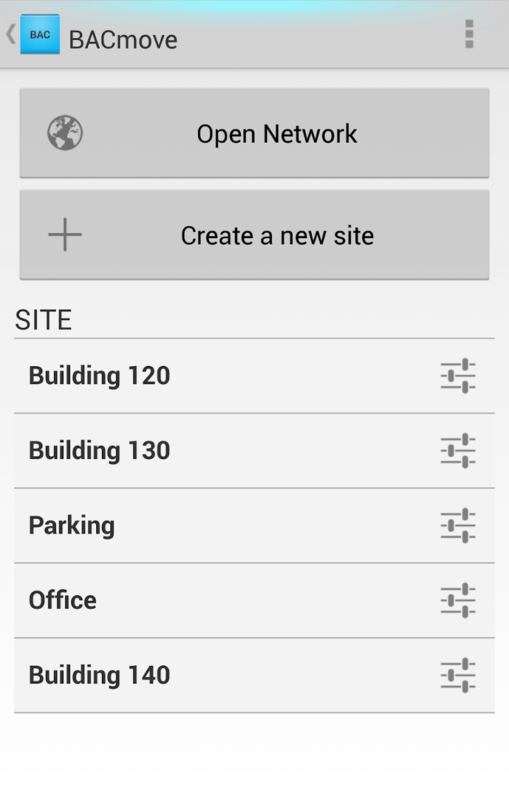 Lists of objects can be created. 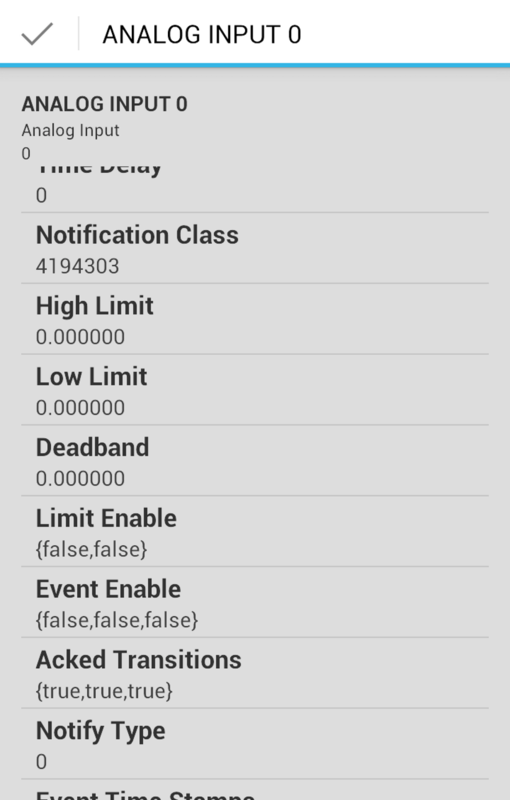 BACnet/IP client for Android, allows to discover and access devices on BACnet networks. Access BACnet devices on the local network (Wi-Fi). Allows to perform read and write operations on the property Present_Value for objects of the following type: Binary Input, Binary Output, Binary Value, Analog Input, Analog Output, Analog Value, Multi-state Input, Multi-state Output and Multi-state Value. Support for write command Priority (selectable priority and NULL value). AtomicReadFile, download BACnet object file to the SD Card of your Android device. Configuration: UDP port, Device Id and Device Name, Who-Is device instance range. Devices can be sorted by name, instance, vendor or model. Objects can be sorted by name, instance or type. Perform quick test and control BACnet devices and panels. 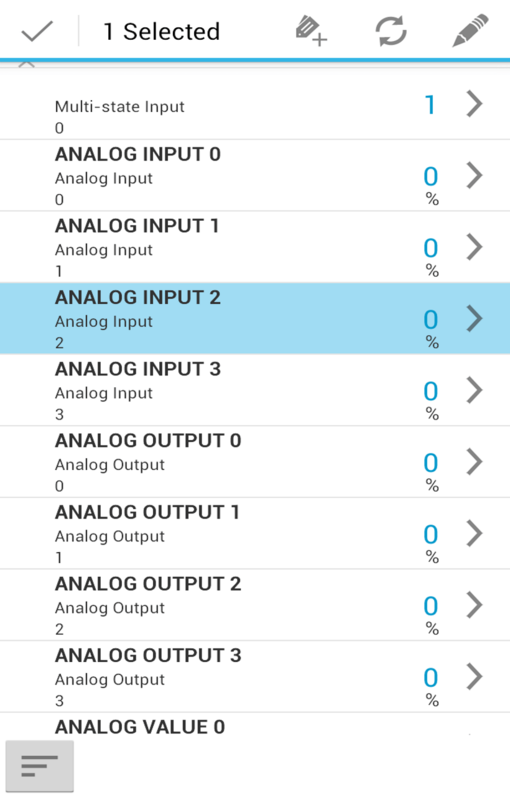 With this BACnet Discovery Tool, explore BACnet devices, objects and properties. BACnet MS/TP or Ethernet networks can be accessed with the help of a BACnet router. Almost Free BACnet Explorer. 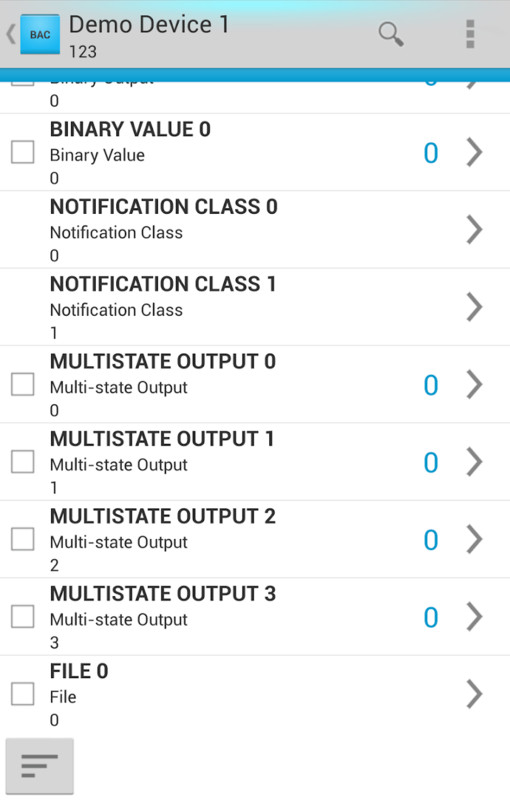 For a small amount you can browse BACnet networks from all your Android devices.